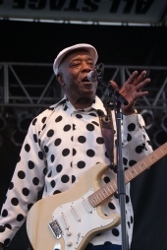 If you missed our earlier recap of this year’s Chesapeake Bay Blues Festival and its numerous tributes to the recently departed B.B. King, you can read it here. Or, for a quick and dirty look at the weekend, check out our photos from the festival, now posted to the BluesPowR Gallery. 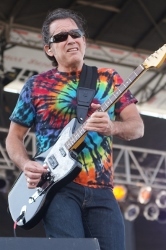 There, you’ll find dedicated folders for Buddy Guy, Jonny Lang, Bobby Rush, Charlie Musselwhite, and Tommy Castro & the Painkillers, as well as a shared album including images of Gregg Allman, Beth Hart, Shemekia Copeland, Jarekus Singleton, the Chesapeake Bay Blues Band, and Mingo Fishtrap. 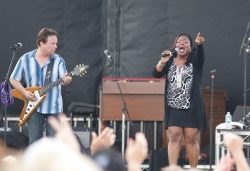 This entry was posted in Shows and tagged Beth Hart, Bobby Rush, Buddy Guy, Charlie Musselwhite, Chesapeake Bay Blues Festival, Gregg Allman, Jarekus Singleton, Jonny Lang, Mingo Fishtrap, Shemekia Copeland, Tommy Castro. Bookmark the permalink.